Home to London’s most outlandishly eccentric two Michelin star restaurant, the city’s pinkest dining room, and recently refurbished The Glade – in all of its enchanted forest glory – sketch has become a dining institution since opening in 2003. In the heart of Mayfair, homed within a split-level premise on Conduit Street, sketch’s various restaurants each offer something different, while The Glade and Parlour each serve a sumptuous, luxurious brunch offering. The brunch menu features dishes such as coddled eggs with caviar, scrambled eggs with a smattering of black truffle, or duck shepherd’s pie – to name a mere few. Fittingly opulent cocktails (alongside the décor and food offering) include the likes of avocado and tequila-based ‘Avocalicious’, various iterations on classic Bloody Mary, or ‘Elyxir Spirtz’. Made with Absolut Elyx vodka, Belsazar Rose, Suze, Darjeeling tea and chamomile droplets, the drink is then topped with Prosecco, to finish. 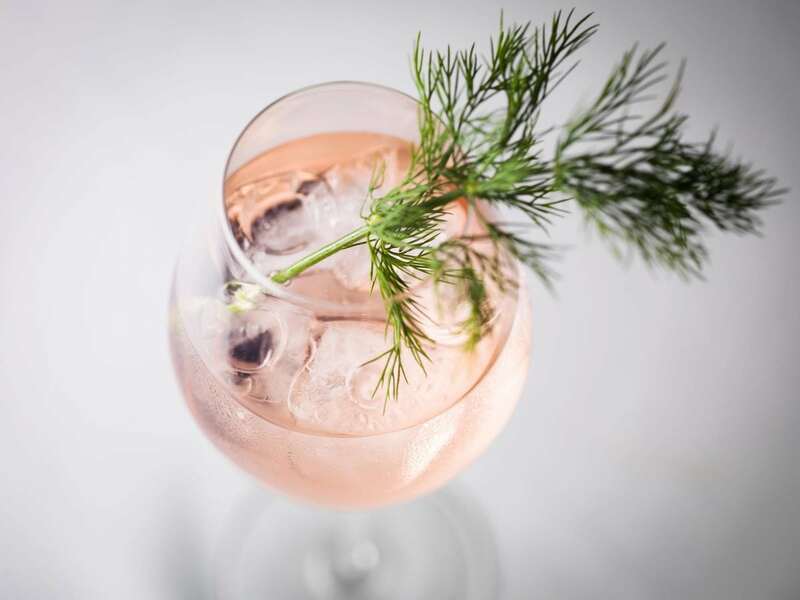 Combine Absolut Elyx vodka with Belsazar Rose and Suze. Then add droplets of Darjeeling Tea & Chamomile and gently stir. Topped with Valdobbiadene Prosecco and garnish with a sprig of dill. Further information on sketch can be found here.